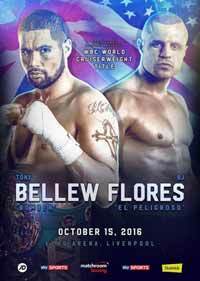 Review by AllTheBestFights.com: 2016-10-15, good finish but the rest of the fight was not so exciting: Luke Campbell vs Derry Mathews gets two stars. The 2012 Olympic bantamweight gold medalist Luke Campbell entered this fight with a pro record of 14-1-0 (11 KOs=79%) and he is ranked as the No.14 lightweight in the world. He suffered his first loss at the end of 2015, against Yvan Mendy (=Campbell vs Mendy), but then he has won over Gary Sykes (=Campbell vs Sykes) and Argenis Mendez (=Campbell vs Mendez). His opponent, the former interim Wba champion Derry Mathews, has an official boxing record of 38-10-2 (20 knockouts) and he entered as the No.42 in the same weight class but he comes off the loss against Terry Flanagan (=Flanagan vs Mathews 2). Campbell vs Mathews is valid for the WBC Silver lightweight title; undercard of Tony Bellew vs BJ Flores. Watch the video and rate this fight!